When it comes to regional interests in the Middle East, the priority is the most dominant and violent force.Egypt stands out as a primary target, given the cocktail of challenges that position it as a center of radical Islam. Egypt faces political, violent, and theological militancy within its borders. In England, just days after the May 22 Manchester suicide bombing, attention was once again on Egypt where 29 Coptic Christians were gunned down on a bus traveling to a monastery near the city of Minya. The attack was launched by masked terrorists who arrived in three pick-up trucks and opened fire on the passengers, many of whom were children. Egyptian intelligence believes the Minya attack was led by ISIS jihadists based in Libya. In February, the aspiring terrorist caliphate also launched a campaign against Egypt’s Christian population. The Egyptian military responded swiftly with air strikes against terrorist camps, along with a televised warning against sponsored terrorism. President Sisi’s response to the brutal slaughter of peaceful Christian worshippers is being called rare but should not be surprising, considering the aggressive measures that need to be taken to hold extremism at bay, and to eradicate the threat that local groups pose to the Egyptian people. Coming out of the Riyadh Summit, where President Trump and a host of Muslim nations, including Egypt, agreed to drive out extremism, Sisi’s reaction was necessary. In a war that is equally ideological and kinetic, Muslim nations and others trying to survive the plague of Islamic terrorism will need to be as ruthless as their extremist counterparts. That is something that the warring political factions in the U.S. quickly need to understand. When it comes to regional interests in the Middle East, the priority is combating the most dominant and violent force. If that force wins, human rights are completely off the table. 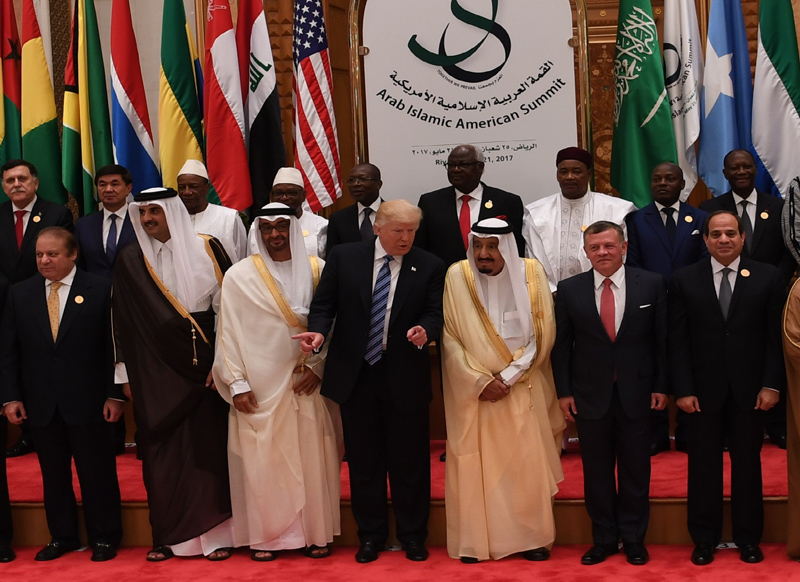 Beyond Egypt, President Trump has received considerable backlash in the U.S. for siding with what are seen as repressive regimes, whether it was hosting Turkey’s President Recep Tayyip Erdoğan in the White House or engaging with dictators and monarchs during the Riyadh Summit.